Rotary screw blowers from Atlas Copco are providing a highly reliable source of vital process air for Lallemand GB, the UK’s largest commercial yeast producer, who is predicting to reduce its annual energy bills by 25% as a result of adopting the technology. Lallemand GB is the UK operation of Lallemand Inc., a Canadian company specialising in the research, development, production and distribution of commercial yeast and bacteria. Its production site in Felixstowe produces bakers’ and distillers’ fresh cream and compressed yeasts, as well as instant dry yeast for supply to European and world-wide markets. The success of the company’s 22-hour fermentation process cycle, which has fluctuating pressure and flow requirements, is totally reliant upon a continuous supply of oil-free low pressure air to deliver oxygen to the stock yeast. If the air flow to the fermentation vessel is interrupted, the entire product batch fails and has to be discarded. 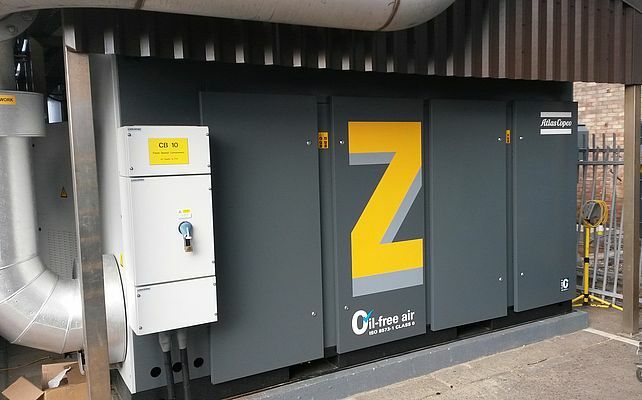 As a result, an Atlas Copco ZS200+FS-1200 oil-free, positive displacement rotary screw blower was installed on site, as a supplementary unit to the company’s conventional lobe type blowers, to evaluate its reliability and energy efficiency.